I am so glad you're here! 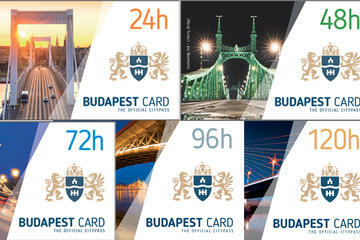 I'm sure you're researching for an upcoming trip, or possibly thinking about becoming an expat in Budapest. Either way... see yah soon! Book your ticket and fly to the "Paris of the East!" Here are some tips & tricks to exploring beautiful Budapest like a pro. I hope to give you as much information as you could possibly have to make your visit to this city unforgettable. If you have any questions or concerns, please feel free to reach out to me through DM or through the contact page. I'm am happy to guide you through Budapest! In a hurry? Pin the articles if you need to come back to it. Don't forget to share with your travel buddies. The Best way to see the city is by booking a tour. I like to use Viator to book cool things to do in the city, Budapest 101 for private tours, I use Silverline Cruises to see the city by water or I stroll through the city on my own. Here are some ways to see the city. Moving abroad can be nerve wracking. Not only have I done it, but I had 2 months to pick up everything and move to new country. Here's my journey. Inside the blogs I have coupons and deals that won't put a dent into the cost but it could help. Get the Beginners Guide to Budapest. - How to get to and from the Airport. - How to "TIP" in Forints. - My journal entry on, "Being Black in Budapest."